There are three species of lime native to Britain: the large-leaved, small-leaved and common lime. Small-leaved lime was a dominant tree prevalent in the vast woodlands that grew after the last ice age. Less widespread today, lime trees are now a much rarer addition to our wildwoods. They have several identifying features. Whilst the bark differs between the three species, their twigs all flush various hues of red when touched by the sun. 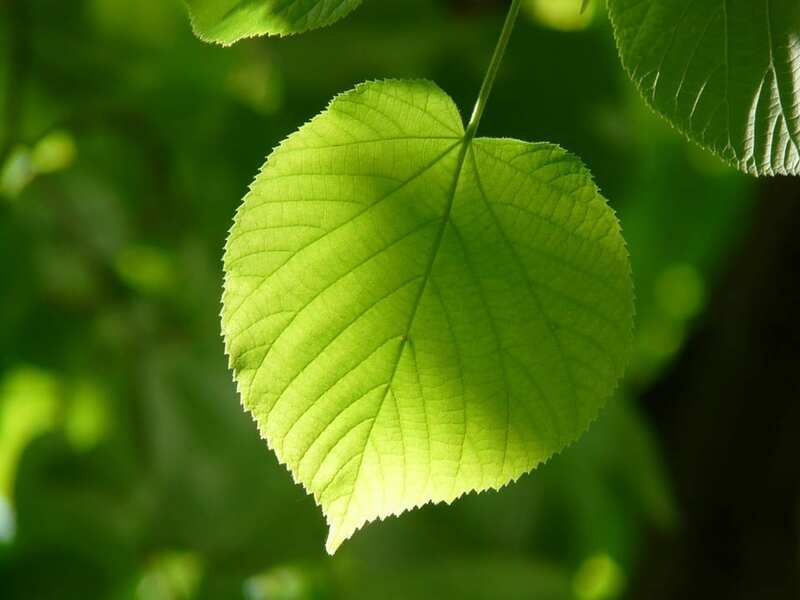 Their leaves, though varying in size, are all heart-shaped. Common and large-leaved limes can be indentified by their hairy leaves, rough and scratchy and to the touch. All limes are hermaphrodites, so the male and female reproductive parts co-exist in the same flower. The flowers are pollinated by insects, after which the creamy blossoms transform into round or oval fruits with a pointed tip. Limes love hot summers and warm climates and the UK marks its northerly limit. When the British sun does shine, however, lime is known for the intoxicating aroma of its blossoms, which attracts bees who swarm to its sweet nectar. During the Second World War lime blossom tea was drunk as a soothing brew, and it is also rich in antioxidant and anti-inflammatory compounds. Limes heart-shaped leaves sees them symbolically linked to love and fidelity and in Celtic folklore lime trees were associated with fairness and justice. Some important judicial cases were convened under lime trees so that their influence could guide proceedings. Limes also lent their strength to rope, and their bark was traditionally used for this purpose. Nowadays, lime wood is a desirable wood to use for carving and making furniture, as it is easy to work and the wood does not warp. For this reason, it is also commonly used in piano keys and soundboards. Insects also love lime trees, and numerous invertebrates feed on their leaves, including many species of caterpillar. The aphids that the heady aromas of lime attract provide an essential food source for insects such as ladybirds and hoverflies. Even dead lime trees are an essential part of the wildwood and make homes for wood-boring insects and various bird species. In colder climates limes will not come into flower and so will not seed. They make up for this with their incredible hardiness, and will sprout from fallen trees and branches. Their regenerative abilities that allows them to flourish in difficult circumstances assuredly makes them an apt symbol for the returning wildwood.